Want to make more profit in your salon? How adding CAT grooming to our DOG grooming business increased our revenue beyond my wildest dreams! Apex Academy of Professional Grooming & Animal Arts provides an extensive two-week Feline Groomer Program. We provide this program to educate the student in the art of cat grooming. The student graduates from the Feline Grooming Program with a keen understanding of the core learnings listed below. We also provide this program to prepare a student to write their exams to become a Certified Feline Master Groomer through the National Cat Groomers Institute. Here are two ways in which we can prepare students to achieve their Certified Feline Master Groomer title. #1. Apex provides a Feline Grooming Program three times a year with a class involvement of up to 6 students. Please refer to our schedule page for dates of this program. It is an extensive two week course where we will teach all the theory and hands-on instruction necessary to write the practicum and written tests for the National Cat Groomers Institution. In saying this, the testing for the CFMG title is added on to the end of the one week (usually the Thursday-Friday of the second week), but only if you choose to achieve this status in addition to your Feline Grooming Certificate. If you are ready and wish to complete your Certified Feline Master Groomer title, we HIGHLY recommend it! #2. We also offer the Personalized Private Instruction (PPI). PPI is a one-on-one training based on your needs to prepare you for the cat grooming world and for achieving your Certified Feline Master Groomer title. This program will be designed exclusively for YOU! Should you take the Personalized Private Instruction, you can complete your theory online with the Complete Cat Groomer Training Syllabus through the National Cat Groomers Institute. Should you use the Syllabus path for your learning, use coupon code CONNIE2018 to save $200 off! All the materials are available a la carte through their webstore. Perhaps you just need help in one area? Check out their resources to pinpoint the areas you are looking to improve. This way we can tailor the program to your specific needs. Please note the National Cat Groomers Institute also offers a 3-month payment plan for the Syllabus. Prices are subject to change and will be discussed at time of registration. Payment plans are available. A deposit of 50% and completed registration form is required to book dates. Balance is due 30 days prior to first day of training. THIS FEE IS NON-REFUNDABLE. DEPENDING ON CIRCUMSTANCES, WE MAY BE ABLE TO TRANSFER YOUR ATTENDANCE TO A DIFFERENT SESSION. PLEASE NOTE WE REQUIRE A MINIMUM OF 4 STUDENTS FOR THESE CLASSES TO RUN. SHOULD WE NOT HAVE A MINIMUM ENROLLMENT THE DATES WILL BE CANCELLED & YOU CAN EITHER RESCHEDULE OR BE REFUNDED IN FULL. Want to test for your Certified Feline Master Groomer status after the one week Apex Feline Groomer Program? All written exams and theory exams will be done on the Monday, Tuesday , and Wednesday (if needed) following your Apex Feline Groomer Program. Some students do not require the third day as they can complete all exams on Monday and Tuesday. A fee of $250 per day goes to Apex for administrating the tests and this will be added to your account for each test day you require. PLEASE NOTE THIS IS OPTIONAL. THE PURPOSE OF OUR APEX FELINE GROOMER PROGRAM IS TO PREPARE STUDENTS TO WRITE THESE EXAMS WITH SUCCESS. THE FEES FOR CERTIFICATION ARE PAID DIRECTLY TO THE NATIONAL CAT GROOMERS INSTITUTE. THESE EXAMS CAN BE ADMINISTERED ALL OR IN PART AT THE END OF THE ONE WEEK CLASS THAT APEX OFFERS SHOULD ANY STUDENT FEEL PREPARED TO TAKE THEM. Need hands on training with real cats? We provide the industry's most thorough and effective hands on training for beginners, experienced groomers and those wanting to obtain certification. Whatever your needs are, we can customize a program just for you with one or more days of Personalized Private Instruction (PPI). Some popular formats are below. Day 2: Handling skills and grooming can include sanitary trim, belly shave, de-shedding techniques, and Soft Paws application. Day 3: Handling skills and grooming can include belly shave, comb cut, face trim and reinforcement of previous grooming elements. Day 4: Handling skills and grooming can include lion cuts and reinforcement of previous grooming elements. Day 5: Handling skills and grooming can include lion cuts, more challenging temperaments and behaviours. Day 1: Safety and handling discussion, demonstration of full groom can include nails, ears, sanitary and clipping techniques. Hands-on grooming of full groom with sanitary and/or belly shaving, de-shedding techniques, etc. Presentation of lion cut. Day 2: Handling skills and grooming can include lion cuts, comb cuts and shaving techniques. All PPI Days are completed with a full written and verbal assessment for the student. If any of the above items are not brought to PPI training, they are available for purchase at the start of the training day.  All other necessary tools, equipment and grooming products are provided by the Apex Academy and use of such is included in the cost. Payment plans are available. A deposit of 50% and completed registration form is required to book dates. Balance is due 30 days prior to first day of training. Please submit the PPI Registration Form below with preferred dates to be placed on our waiting list or to request specific dates/months.